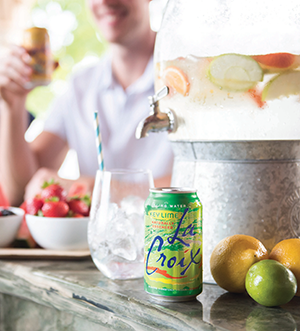 Help your clients achieve healthy hydration with LaCroix! Subject: Help your clients achieve healthy hydration with LaCroix! Help your clients achieve healthy hydration! Healthy hydration is vital to a well‑rounded lifestyle. LaCroix® Sparkling Water just released a Dietitian Toolkit, a resource created to equip health and nutrition leaders like you with materials to educate consumers about the benefits of choosing healthy‑for‑you beverages, like naturally essenced LaCroix® Sparkling Water. We hope this resource will help you encourage people of all ages to reduce their sugar intake and make healthier beverage choices! For more information about using hydration to support a healthy lifestyle and to engage with a like-minded community, join our LaCroix Dietitian Facebook Group!